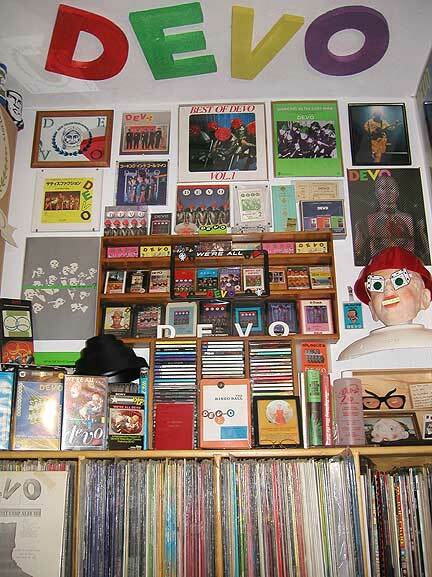 Photo of my Devo-Obsesso archives display circa 2004. - Lots of vinyl LPs! !